<a href='http://gigs.gigatools.com/user/MarcoCoviello' target='_new'><B>Marco Coviello's Upcoming Gigs</B><BR></a>Saturday 04 August, 2012 <BR><a href='http://www.kopfmusik.net' target='_new'>Kopfmusik Showcase, Eventpalast, Stuttgart/ Kirchheim untern Teck, Germany</a><BR><B><a href='http://www.gigatools.com' target='_new'>Powered by GigaTools</a></B><BR><BR>Born 1982 in Rheda-Wiedenbrück- Germany, Marco Coviello discovered his passion for music at the age of 13. As a boy and one of the organizers of the weekly disco at the youth center, he has tried to inspire the guests and his friends with his special music taste, and it was working. A few years later, Marco Coviello was feeling an electronic beat at the first time and he directly was infected by the energy and community. After he was crossing his inspiration Nathalie Schmidt, Marco Coviello bought his first turntables and mixer at the age of 20. Already one year later, he was playing his first gigs in Clubs like Cube Club or Mingles Club. After a very short time, the people began to love his sound and so he was playing at the S-Club- Lippstadt, Bonanza Club- Dortmund, the ArtHouseVilla- Dortmund or the Future Parade. After his move to Bielefeld in 2003, Marco meets Florian Carpentier and Viktor Garcia. With these two talented guys, he was starting a new project, which was called: Funk Connection. As this pseudonym they became their first residency at the “New- Club” and Evil Beatz Events. After over 3 successful years and gigs in East Germany and complete North Rhine Westphalia, the way of the three was getting disperse. In 2006 Florian, Nathalie and Marco has moved to Cologne, to visit the SAE Institute. Their Marco and Florian became the certification of electronic music producers and they were starting something new: Coviello & Carpentier. In 2007 Marco Coviello and Stefan Köppen had the idea, to start something new around Bielefeld and East Westphalia and in the beginning of 2008 a new club was born: Tronix- Club for electronic people. Together with the owner of the club Stefan Köppen, Marco Coviello starts a complete new party series for this part of germany, with people who never played there before and with music which was never heard there before. 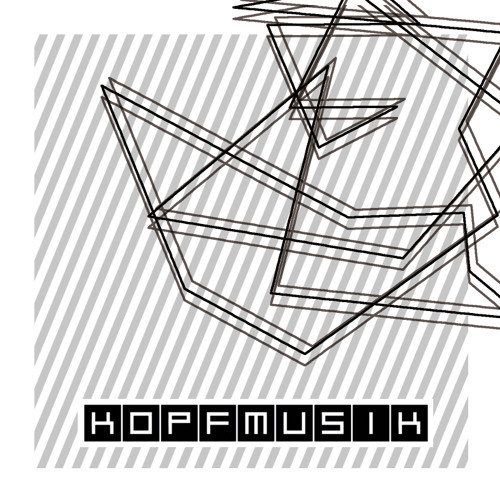 KOPFMUSIK was born. In the same year Marco and Stefan were found the same named label.